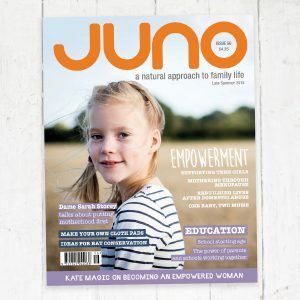 In the Late Summer issue of JUNO we have a focus on empowerment. 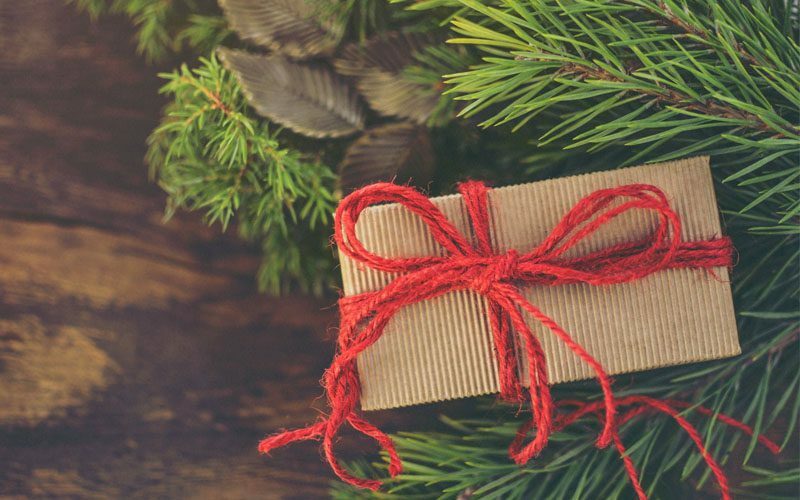 There are articles about finding fulfilment as an empowered woman; supporting teen girls to be who they want to be; finding strength after domestic abuse; feeling empowered in your journey to birth; and the healing power of circle magic. Sarah Stanley-Evans talks about how she and her partner became mums; Victoria Jones shares how she found renewed friendship through writing letters; Lou Harvey-Zahra shares parenting ideas for young children; and Zion Lights talks to Angela Mills about bats and what we can do to support the species. Also in this issue: Richard Brinton reflects on the school starting age; and Catherine Pawson reflects on becoming a mother later in life. To help us focus on our health, Henriette Kress suggests some natural remedies for PMS; The Seed SistAs share ideas for supporting women’s menstrual and reproductive health; and there are ideas to help with pregnancy sickness in our family nutrition column. 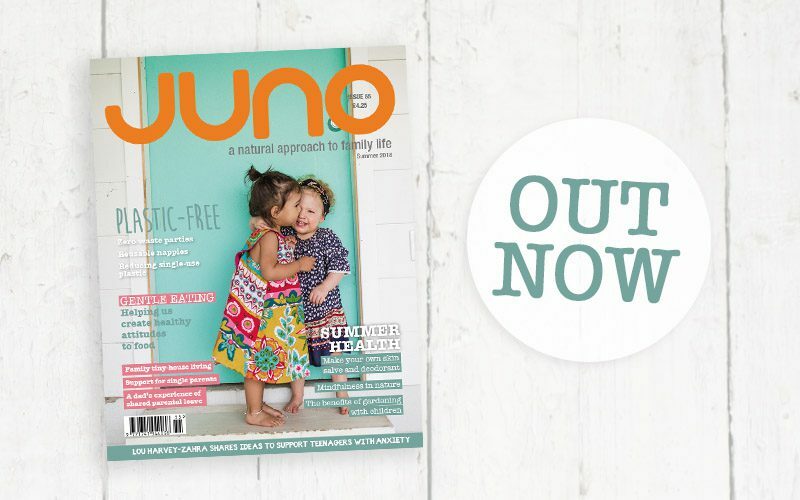 Feel inspired with Nikole Verde’s unschooling travel adventure and Jo Robertson’s beautiful birth photography – this issue’s theme is the placenta. Also, try some vegan recipes from Spain and find out how to make your own cloth menstrual pads. There are reviews of everyday eco products and a chance to win a range of prizes including a Naturalmat feeding pillow. 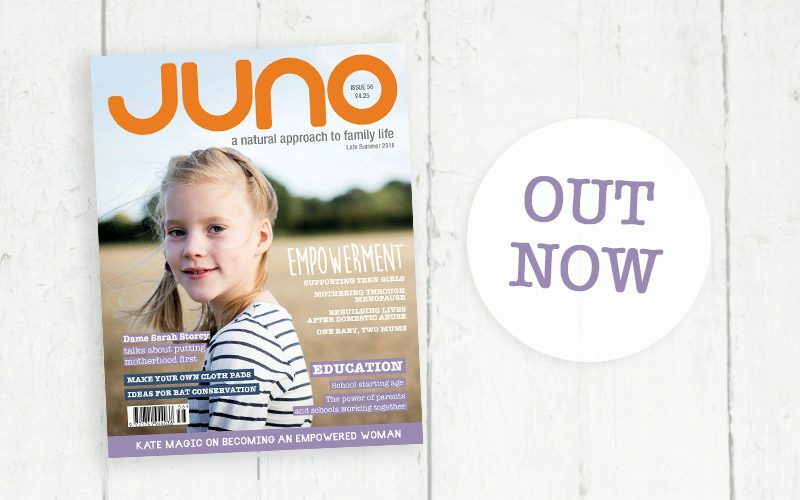 Lots to inspire in the Late Summer issue of JUNO.